The June Monthly Meet was extremely special for Zapbuild as we celebrated 8 years of success, innovation and consistent growth. The special occasion called for a special celebration, and this time, Zapiens did go out of their way to make this day counted as extraordinary. Celebrating Zapbuild’s Anniversary, the entire Zapbuild family came together to commemorate this day by going green and planting tree saplings in the company premises.It was a fun way to remind everyone his responsibility towards our Mother Earth. The fun did not end here. In fact, it escalated exponentially when the Zapiens indulged themselves in playing some really exciting games and cheered for our respective teams. It is the happiness we share that keeps us together year after year. The most special part of the get together was honouring those who have been dedicatedly putting in their sincere efforts in the progress of this organization for more than 5 years. 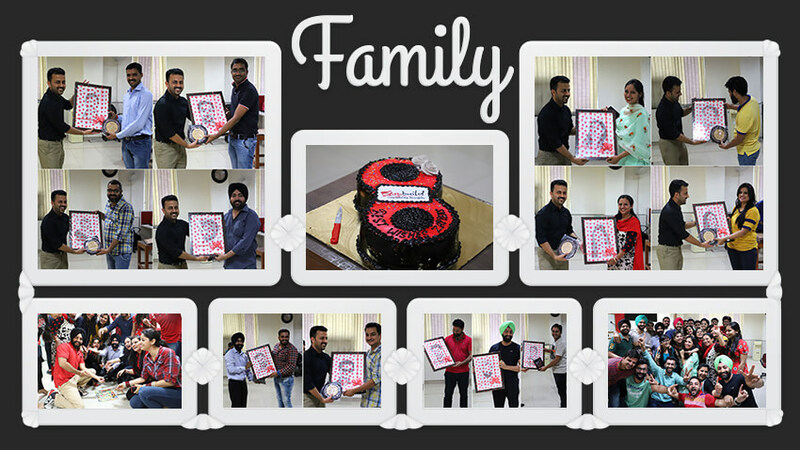 They were presented with a surprise gift of portraits and mementos to express how grateful and proud Zapbuild family is to have them with us as guiding lights. We wish for an infinite journey of togetherness on the path to success.